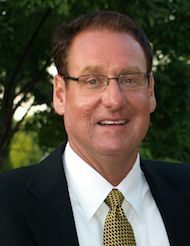 John A. Naayers, President of BNO, has been involved in the sale and acquisition of businesses and related real estate in excess of twenty years as a business and real estate lawyer. Mr. Naayers established BNO, a full service professional business broker firm, in 1997 after having spent 10 years observing the good and bad qualities of numerous business brokers. He is certified by BSN and is an Ohio real estate broker. 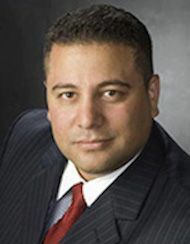 Steve Lopez, Broker and Advisor of BNO, has been involved in business analysis, development, protection, transfer and consulting since 1996 as President and Principal Consultant of JCL Industries, LLC. Mr. Lopez brings a vast array of business knowledge, experience and contacts to BNO. Why use BNO to sell your business? Most Importantly, the sale of your business will be a priority to BNO since BNO is very selective of the businesses it chooses to sell to ensure a very high success rate. BNO absolutely recognizes the importance of strict confidentially and pre-qualification (financially and otherwise) concerning potential buyers and the balancing of such with the goal of expeditiously selling your business at a maximum sale price. BNO will insist upon confidentiality agreements and buyer qualifications disclosure. BNO will prepare a thorough business summary of your business that will present your business in a most favorable manner and aid in expediting the sale of your business at a maximum price. BNO will tailor a marketing plan that takes into consideration all of the aforementioned concerns. BNO will provide creative and experienced transaction structuring advice to bring the sale of your business to function at at maximum price. Why use BNO to buy a business? BNO will discretely locate potential businesses that best fit your criteria without disclosing your identity until appropriate. BNO will assist in negotiating the terms of a transaction that best fulfills your interests. If you would like us to target a specific business type or to learn more about our businesses for sale then contact us or call John Naayers at 419 720-5095.